Brandeis National Committee is dedicated to providing philanthropic support to Brandeis University, a distinguished liberal arts and research university founded by the American Jewish community. Its membership is connected to the university through fundraising and through activities that reflect the values on which the university was founded: academic excellence, social justice, nonsectarianism and service to the community. Volunteers and working people, Brandeis National Committee (BNC) members are women and men who share a passion for lifelong learning and for the mission of Brandeis University, the only non-sectarian university founded by the American Jewish community. Most BNC members continue their education through learning opportunities created by Brandeis faculty exclusively for BNC. Founded in 1948, the same year as Brandeis University, the Brandeis National Committee provides financial support for Brandeis and its libraries. The BNC is the largest friends-of-a-library group in the world with 26,000 members nationwide. A volunteer fundraising organization, BNC has contributed over $127 million to Brandeis University while utilizing the resources of the university to provide unique programming for its members. The funds provided by BNC support student scholarship in the sciences and the development and expansion of the Brandeis Libraries, which includes the acquisition of books and research journals, restoration and preservation, development of information technology and student work assistance. Most recently, BNC raised $2 million—$1 million to name a neurodegenerative disease research laboratory in the Carl J. Shapiro Science Center and $1 million to create an Endowed Medical Science Journal Fund. 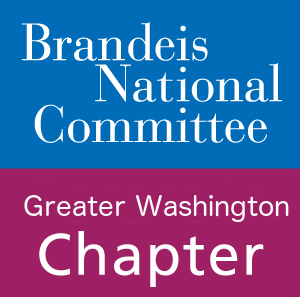 Brandeis National Committee chapters are located nationwide. BNC’s National Center is on the Brandeis campus in Waltham, Mass. Please contact our membership committee for information – Lorraine R. and Bobbye H. Send email. You can join or renew your membership here. Watch this brief video of the first week of classes at Brandeis. You will be inspired and see virtually the driven students and beautiful campus you are supporting! Donate today by Clicking here. All Rights Reserved, Greater Washington Chapter of the Brandeis National Committee.